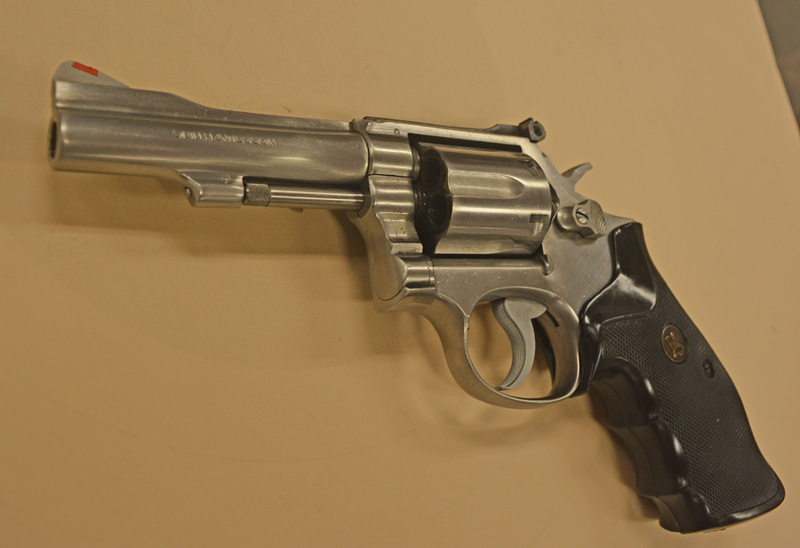 I own dozens of revolvers - Rugers, Colts, Manurhins, Dan Wessons, Charter Arms, Freedom Arms, Nagants, Webleys, Arminiuses, H&Rs, Iver Johnsons, Tauruses - if a handgun exists in a revolver form, there is an excellent chance that I have it. Among all of them the revolvers from Smith & Wesson are my favorite. Though the ones I own don't claim to be target guns, they are quite accurate and extremely well balanced. Most of all I love the legendary Smith & Wesson trigger - very light in single action more, and firm, but not overly so in double action. And with police in many countries swapping revolvers out for semi-automatic polymer pistols, there was time when they could be had for very little, which is how my collection started. 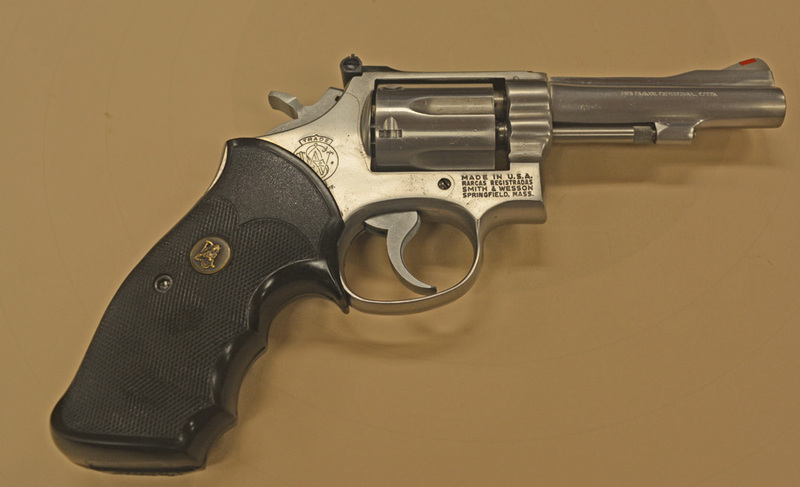 Recently I have acquired a used model 67 in 38 Special. It has been sitting in a safe for a few months, before I got to shooting it, but in the last couple of weeks I was experimenting with Taurus 82 revolvers, which have extremely similar design, so I took it to the range to calibrate the results. But first, of course, the pictures. Unlike the majority of Smith & Wessons I own - this one has adjustable sights. 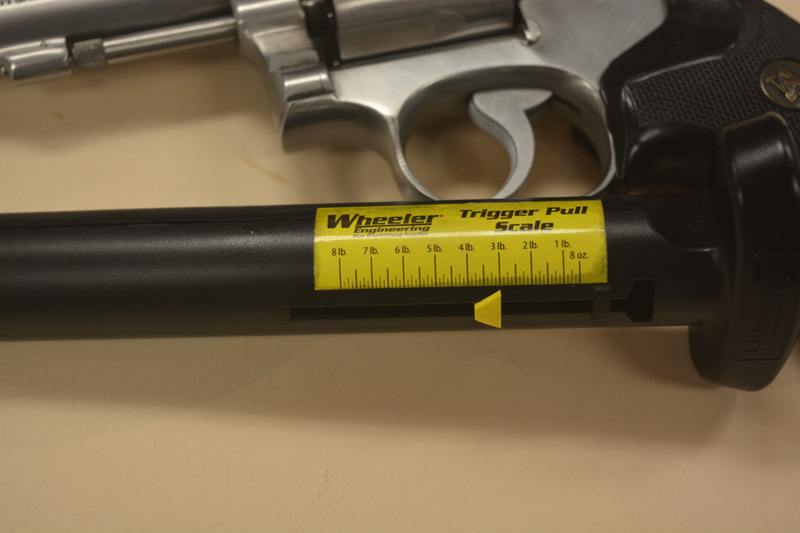 Adjustable sights might get in the way in police work but at the range every brand of ammunition has its own point of impact, and the loads that produce the best groups are often not the same that are closest to the point of aim. My reviews of Tauruses and Armscors illustrate the quandary. 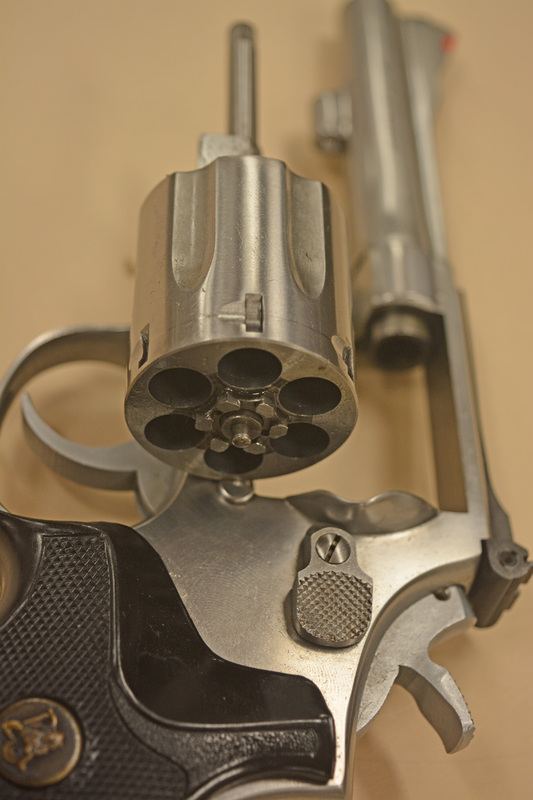 Most non-adjustable sights on semiautomatic guns can at least be drifted to the right windage, but police revolvers usually have sights cut into the frame, so adjusting them is quite a challenge - the alterations are permanent and have to be done to a particular load. 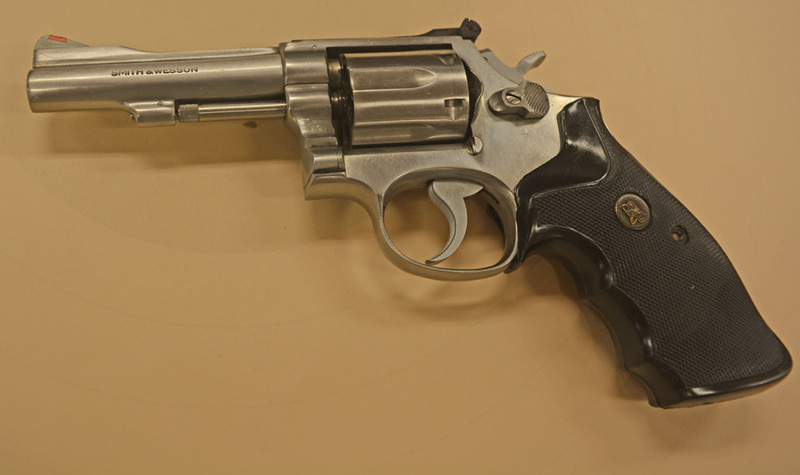 On this revolver, however, not only the sights are adjustable, they are very high quality. 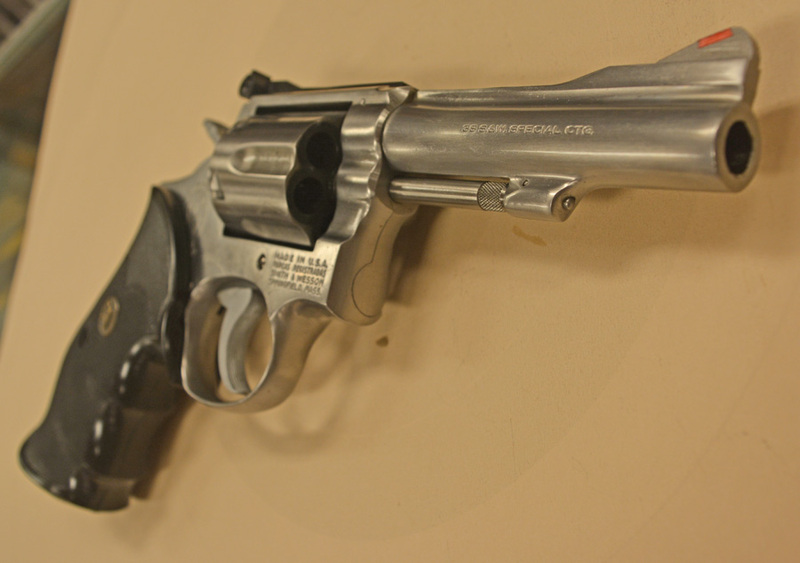 And, of course, the trigger was superb, with single action mode breaking like glass at exactly 3lb. The goal of the range visit was to see how a Taurus 82 will hold up at 25 yards with the best ammunition I had - my own production of 38 Special "classic load" - 148gr Hornady lead wadcutter bullet over 2.8 grains Bullseye. This recipe is extremely accurate in most 38 special wheel guns. 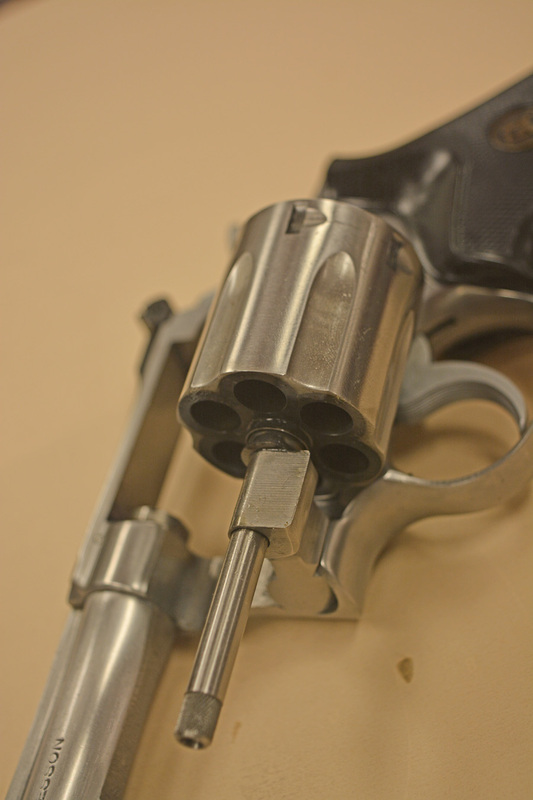 Shooting was easy - the light trigger ensured that my hands did not tire, and the solid steel gun was hefty enough to swallow recoil almost entirely. The sights contrasted well with the target. I have been holding to six o'clock position, with the sights aligning to the bottom of the black circle. Here are the 25 round group shot from the rest at 25 yards. 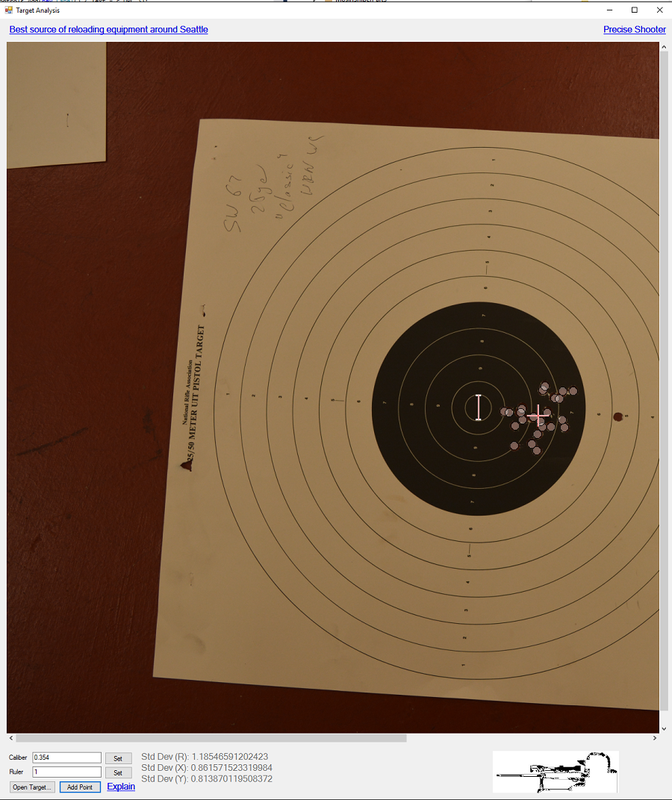 The low bottom shot was the first from the gun, and was so far off because of my own error while shooting the new gun. I disregarded it during statistical analysis of the target. At home I loaded it into my target analysis software, which let me calculate the standard devilation. Since the standard deviation is approximately 1.2, and the population size is quite big (25), we should expect that 68% of the shots will be within 1.2" of the target, 95% of the shots will be within 2.5" of the target, and 99% of the shots will be within 4" of the target at 25 yards. In other words, for vast majority of shooters, the performance of the gun will not be a limitation.